Do you own a cave or an old mine that you would like tested for White-nose Syndrome this coming winter? If so, the S.C. Department of Natural Resources may be able to help. Jennifer Kindel and Mary Bunch of the S.C. Department of Natural Resources (SCDNR) will be conducting annual hibernating bat counts and testing bats and their hibernation sites for the fungus that causes White-nose Syndrome (WNS). Focal counties this year will include Abbeville, Anderson, Calhoun, Cherokee, Greenville, Kershaw, Lancaster, Laurens, Richland, Spartanburg, Union and York. WNS is a disease that has devastated bat populations since it was first documented in New York 10 years ago, spreading southwest across the United States and killing around six million bats in North America so far. In an unprecedented jump this past March, WNS was found in Washington state about 1,300 miles from the previous westernmost detection. Though it is unclear how WNS reached Washington, recent studies show eastern North America as the source. SCDNR has been mapping the spread of the disease since it was found in Pickens County in 2013. 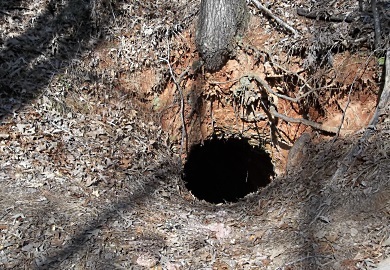 Since then it has also been found in Oconee and Richland counties, and this past winter a cave less than two miles away from Anderson County tested positive for WNS. Many more South Carolina counties could potentially be harboring WNS, so with your help can we can determine how far this disease has spread and monitor the survival of our beneficial bats. Bats are a major consumer of insects such as mosquitoes, beetles, and other forest and agricultural pests. Not only are the 14 species of bats in South Carolina an integral part of our ecosystem, they are a major contributor to our economy. According to a study in 2011, bats provided an annual pest suppression service of $115 million to South Carolina’s agricultural industry, totaling $22.9 billion nationwide. With the use of less pesticides, they also help reduce the impact of these chemicals on many other wildlife species that call South Carolina home. Though WNS does not affect humans, mortality rates in bats have reached up to 90 and 100 percent and caused species such as the little brown bat to become locally extinct from key northeastern hibernation sites. Tri-colored bats have tested positive for WNS in South Carolina, and sadly their numbers in major Upstate hibernacula have been reduced by 60 percent in just the past few years. If you are interested in having your cave or old mine tested for WNS, or would simply like more information, contact Jennifer Kindel at Kindelj@dnr.sc.gov or (864) 419-0739. For the latest news on White-nose Syndrome, visit http://dnr.sc.gov/wildlife/bats/batswns.html. If you would like to learn more about bats and count them as they emerge from their boxes at sunset, please consider joining SCDNR and Sunrift Adventures in their first annual Halloween Bat Count on Sunday, Oct 30 at 5:30 pm at Sunrift Adventures, 1 Center Street, Travelers Rest.